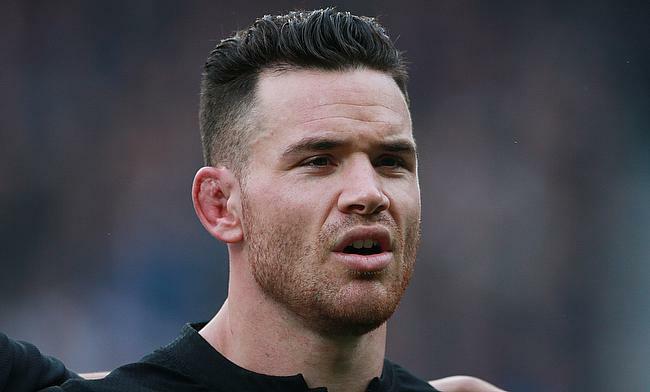 New Zealand have received a major boost ahead of their upcoming Rugby Championship clash against South Africa in Wellington with Ryan Crotty and Rieko Ioane returning to the matchday squad. All Blacks head coach has made a total of 10 changes to the side and a five on the bench as the World Champions look to maintain their unbeaten record in the competition after already securing three bonus point victories. Crotty returns from a concussion that he sustained with a clash against Jack Goodhue in the opening game of the tournament against Australia in Sydney while Ioane has recovered from a hamstring injury. Meanwhile, Sonny Bill Williams, who had a tough period with a series of injuries was initially named on the bench and was later left out as he is battling an illness. Jordie Barrett returns at fullback with Ben Smith moving to right wing and Anton Lienert-Brown earns a promotion from the bench to the number 13 slot. Crotty returns to his preferred inside-centre position with Ioane on the wing. The game also sees Beauden Barrett returning back as fly-half replacing Richie Mo'unga. Sam Cane and Liam Squire return as the first-choice flankers while injured Brodie Retallick has been replaced by Sam Whitelock and Patrick Tuipulotu has been named on the bench. "We've had a good week's preparation here in the capital focusing on what we need to bring to the game through our skillsets, the intensity of our play and our energy," said Hansen. "We know that we'll have to be at our very best in all these areas to counter an opposition we know will be desperate following their back-to-back losses. "That means we'll have to respond with a quality performance and a real hunger to be better. You just have to look at our last encounter in Cape Town to understand what kind of beast we will be facing." Replacements: Liam Coltman, Tim Perry, Ofa Tuungafasi, Patrick Tuipulotu, Ardie Savea, TJ Perenara, Jack Goodhue, Damian McKenzie.